MOSCOW, January 24. /TASS/. Russia’s Tactical Missiles Corporation considers the Russian-Indian BrahMos project as an ideal example of military and technical cooperation, Corporation CEO Boris Obnosov said on Thursday. "This is one of the examples of military and technical cooperation between the two countries, which is effective and useful for both states," the chief executive said. 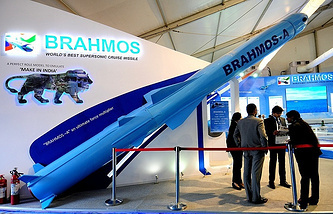 Speaking about the prospects of selling BrahMos missiles to third countries, the chief executive noted that such an issue was being considered but the Tactical Missiles Corporation declined to disclose any details. "Any deal fears too much hype," he added. The PJ-10 BrahMos is a supersonic cruise missile with the solid propellant booster. The missile was developed by the Research and Production Association of Machine-Building in the town of Reutov near Moscow and India’s Defense Research and Development Organization (DRDO). The missile is a modification of the Soviet anti-ship missile developed by the Reutov design bureau in the late 1980s. The BrahMos was developed in the late 1990s - the first half of the 2000s pursuant to an agreement between the governments of Russia and India signed on February 12, 1998. The project’s name was coined using the names of India’s Brahmaputra and Russia’s Moskva rivers. The first test launch was conducted on June 12, 2001 at the Chandipur range (the state of Odisha, India). The missile’s production was organized at enterprises both in Russia and India. 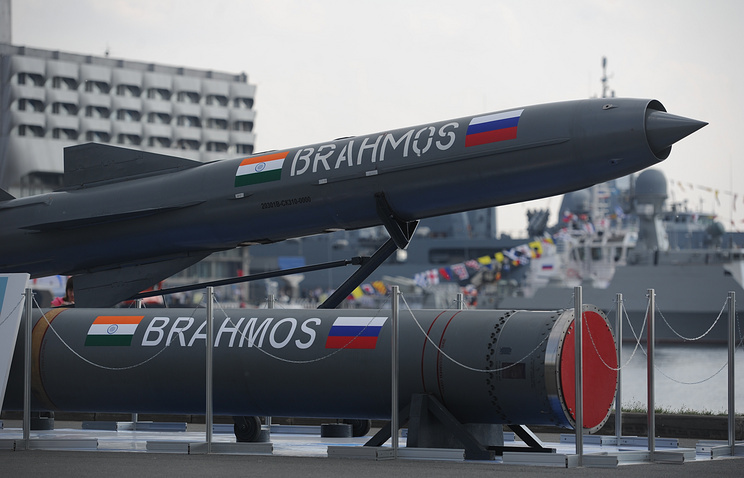 In May 2016, BrahMos Aerospace spokesman Praveen Pathak told TASS that New Delhi and Moscow had reached "a principled deal" on the export of these missiles to third countries. He named the Philippines, South Korea, Algeria, Greece, Malaysia, Thailand, and also Egypt, Singapore, Venezuela, the United Arab Emirates, Chile, South Africa and Vietnam among potential buyers of these missiles.